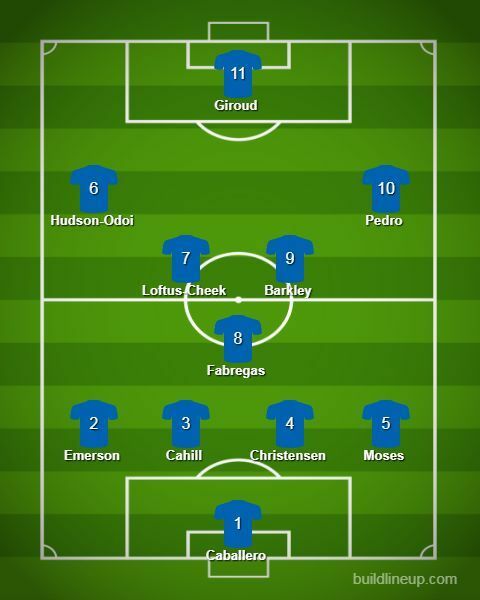 This would be the Chelsea line-up more often than not. Injuries and games against lesser teams or games in lesser important tournaments would warrant for team changes, in order to rest the "A" team stars. If you look at the overall Chelsea squad, there seems to be a proper team in the "reserves", which would possibly finish in the top 10 of the Premier League, if they competed as a separate entity (I know this would also be the case with the "reserves" at Manchester City or Liverpool, but I'm a Chelsea fan, hence this article). There would also be notable options like Zappacosta, Drinkwater (who could be used in place of Loftus-Cheek where the midfield requires more steel over style), Robert Green, Ampadu and Piazon (that's a decent bench there - with one goalkeeper, two defenders, one midfielder and one winger!). A straight comparison on a positional basis would generally mean that the player in the favored XI is always better than the one in the reserves' XI, but that may not be true in every case here! Arrizabalaga vs Caballero - Well, this one is close at the moment, as the "world's costliest keeper" is still getting acclimatized to the English game, while Caballero has experience, and is a good shot stopper. Both are prone to errors, but given that Arrizabalaga (we really need to form an "Azpi" or "Dave" kind of nickname for him soon) has age on his side, I'll go with him. Azpilicueta vs Moses - A no-brainer, this one! Dave is the man to lead Chelsea to further glories, and he would challenge any player in any position, given his commitment and dedication. Luiz vs Cahill - This one is a tie for me (on defensive abilities alone), but Sarriball is more suited to Luiz. So, this one goes to the Samba boy. Alonso vs Emerson - Alonso, end of! Kante vs Barkley - This is a mismatch really, Kante vs Drinkwater would have been apter, but even then, Kante would have won. Jorginho vs Fabregas - Jorginho is undoubtedly phenomenal, but Fabregas is a real pass master too! Fabregas may not be defensively strong, but Jorginho lacks some of those abilities as well. I'm sitting on the fence for this one. Kovacic vs Loftus-Cheek - I'm going with the English boy, coz he can destroy teams on his day! Plus, Kovacic (being on loan) may not be with Chelsea next season. Willian vs Pedro - It may sound blasphemous, but Pedro defeats the former "Chelsea Player of The Year". That is because Pedro's finishing skills are better. Morata vs Giroud - Again, the reserves' team player wins this one! Giroud for me anyday, even if he has earned the reputation of "the World Cup-winning striker with no shots on goal". Hazard vs Hudson-Odoi - The young lad Odoi would forfeit this bout. So no need for me to opine here. 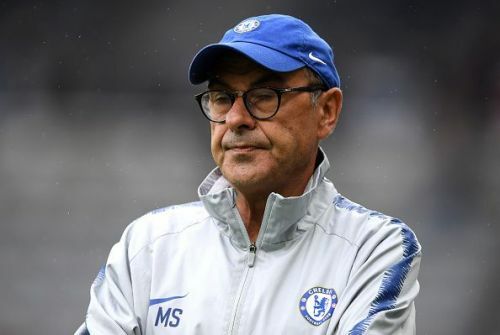 Sarri, but I'm not Sarri!!! Will Chelsea be able to secure a Champions League spot?